Home / Essays. 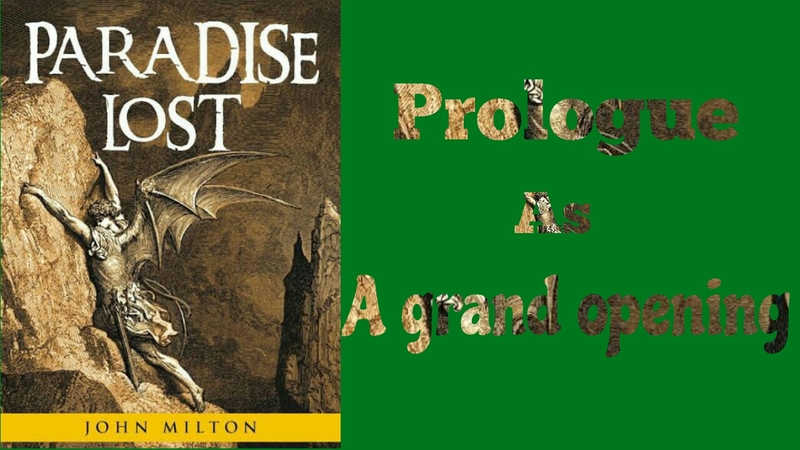 / Honours 3rd Year / John Milton / Poetry / "Paradise Lost" prologue as a Grand Opening. "Paradise Lost" prologue as a Grand Opening. The first twenty six lines, which form the Prologue to Paradise Lost, suggest the theme of the epic, introduce the major characters, give a taste of the style and point to the moral values, Milton intends to profess. Like a classical poet, Milton at the very beginning of his epic states is man’s first disobedience. The emphasis is upon Man not upon Satan who is not mentioned in the Prologue and not referred to until line 34. Milton follows his classical ancestors not only in the immediate introduction of his theme but also in the grammatical structure which is highly Latinized. The Prologue shows that the subject matter has been taken from the first chapter of Genesis : the disobedience of Man in eating the fruit of the Tree of Knowledge and his fall as a consequence, bringing death into the world, and all the woes from which man has continued to suffer. But we should notice that although the story begins with the man who fell, it also mentions the greater Man (Christ) who will redeem mankind. The invocation to a Muse is a classical device. But we are to notice that Milton’s Muse is called “Heavenly Muse” or the Divine Spirit, who is localized not, as he might have been by Homer or Virgil, upon Mount Olympus or Mount Helicon, but on the secret top of Oreb or of Sinai, sacred in Hebraic belief, associated here particularly with Moses. Thus, in the first 26 lines we may trace the theme of the epic. We also know that the materials were drawn chiefly from Genesis, and that Milton is writing a classical epic but he intends with the help of heavenly Muse to transcend the classical. In a poem both Hebrew and Christian, he deals with the most profound of all problems, to justify the ways of God to man. Thus, in the first 26 lines, Milton has blended three great civilisations the main source of the Renaissance religious poetry: Classical, Hebrew, Christian. Milton follows the classical models not only in form and convention but also in respect of grammatical structure. The technique indicates a vast design in the reader's mind and there is wonderful congruity between syntax and versification. Again ambition and humility are mixed in the sense and movement of the verse. 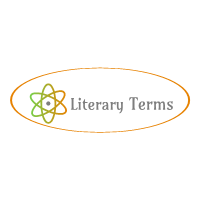 The poet shows his self-confidence in stating that he is attempting something as yet unattempted. At the same time he makes a humble appeal to the Heavenly Muse to raise and support him in his noble venture of writing an epic. There is also a poignant reference to his limitation as a poet-- his Blindness. It balances the tone between modesty and self confidence till the verse soars to the impressive conclusion of the prologue.